In the early 1990's, I started writing race reports for Claremont Speedway in Claremont, New Hampshire. This was the beginning of my journalism adventure. To this day, I continue to write feature stories and press releases for the motorsports market. Over the past 25 years, I have expanded the service to include small businesses and live music reviews for blogs. From time to time, I will share stories and press releases here on my website. I have been published and/or obtained coverage through local, regional and national publications for businesses and individuals. If you are in need of press coverage, contact me. SODUS, NY – Mike Emhof Motorsports, Inc. (MEM), a sprint car parts distributor and racing promotions company, has added to its holdings with the acquisition of the RACESAVER® CRSA Sprint Car Series. The purchase brings the number of series operated by MEM to three. The Patriot Sprint Tour (PST) & CNYMS Mini Sprint Series have been under ownership of MEM for several years. During the offseason months, Mike Emhof and Mike VanDusen, owner of the CRSA series for the past five years, worked closely to finalize the details of the acquisition with a number of common goals to protect the integrity and future of the series. From race dates, to racing operations, competitors and fans can expect to see business as usual, with the exception of CRSA adopting the IMCA sanction. “I’m glad that the series is going to continue under the same RACESAVER® format,” said VanDusen. VanDusen’s comment reflects the premise of the series to offer stable and enforceable rules, consistent rules application, and fair purse distribution. “Mike and his wife Debbie have done a fantastic job operating the CRSA series over the past five years and we share the goal of providing an affordable platform in a racing series that maintains a level playing field,” commented Mike Emhof. VanDusen will remain involved with the series in a technical supporting role at the track and as a consultant during the 2016 season. Along with the acquisition announcement, MEM announced that Greg Hixson will be the Director of Race Operations for the RACESAVER® CRSA Sprints. Hixson has worked under the MEM umbrella in roles with the CNYMS Mini Sprints, then with PST. Hixson has also been the race director at Black Rock Speedway and Canandaigua Motorsports Park. “Greg has worked with me many, many years and is well respected within the racing community. He’ll have the full support of the MEM organization behind him with the RACESAVER® CRSA Sprints,” expressed Emhof. A RACESAVER® CRSA Sprints 2016 schedule will be forthcoming in the next few weeks. Race fans and competitors can keep current on series activities at www.crsasprintcars.com. For more information about Mike Emhof Motorsports, Inc., log on to www.mikeemhofmotorsports.com. 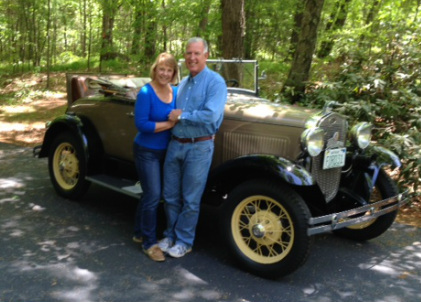 Mark Piekarski of Newmarket, NH (formerly of Nashua, NH) and Lennel Stroud of Hilton Head, SC have entered a 1931 Ford Model A into the Great Race - an endurance Rally spanning 2100 miles from Ogunquit, ME to Ocala, FL. The race begins on June 21 and runs 9 days. Piekarski will be piloting the Model A, with Stroud riding shotgun in the navigator role. Both antique car enthusiasts and past Sports Car Club of America (SCCA) rallyers, they set out last year to purchase the ’31 Ford exclusively for this event. Mark and Lennel participated in a couple rallies last year in the SCCA New England region to ‘warm up’ for the Great Race. They found success winning the Rookie Division in the Fall Foliage Rally in Vermont. The 1931 Model A is sponsored in the 2014 Great Race by New Hampshire-based Gate City Collision Centers. The company has locations in Nashua, Merrimack, and Hooksett. The 1931 Ford Model A is original with very few modifications that have been completed to participate in the Great Race. Mainly, changes to the electrical system and an overdrive transmission unit were installed to maintain higher highway speeds that may be required. Andy Compagna of New Boston, NH completed much of the needed work. “The 1931 Model A is a great choice for this event and I can see why it was so successful when Model A’s were sold in the late 20’s and early 30’s. The car is a pleasure to drive even at 45-50 mph, which was fast in the 1930’s considering horse and buggies were being used 20 years earlier,” commented Piekarski. “And, the car was very reliable and simple with a small 4 cylinder engine, and full suspension. It rides great!” continued Piekarski. Along with Mark and Lennel, friends Bob and Barbara Deguise along with Lennel’s parents, Frank and Ruth Fotta, all of Amherst, NH, will be the ‘support team’ in the North-to-South race. While it’ll be a great feat simply to finish this 2100 mile cross country rally, Mark and Lennel felt the effort should go towards a greater cause to help two Children’s Charities close to their hearts. For the Northerners, they have asked friends and supporters to make a pledge to David’s House in Lebanon, NH, a home away from home for critically and terminally ill families of children undergoing treatment at Children’s Hospital at Dartmouth (CHAD). For the Southerners, they are asking friends and supporters to make a pledge to Hilton Head Heroes, a home on Hilton Head Island for families with critically and terminally ill children to enjoy a much needed vacation, free of charge on Hilton Head Island, SC. Friends and acquaintances are encouraged to pledge 1 cent to $1.00 per mile in the Great Race effort.